In this blog post we are embarking upon a journey into the Paranoia of the Education System, focusing on teachers, students, parents and on the education system as a whole. This first blog post in the series is thematically interwoven with the series on educational philosophies and the topic of education in a corporate capitalistic system that we have been discussing in recent posts. 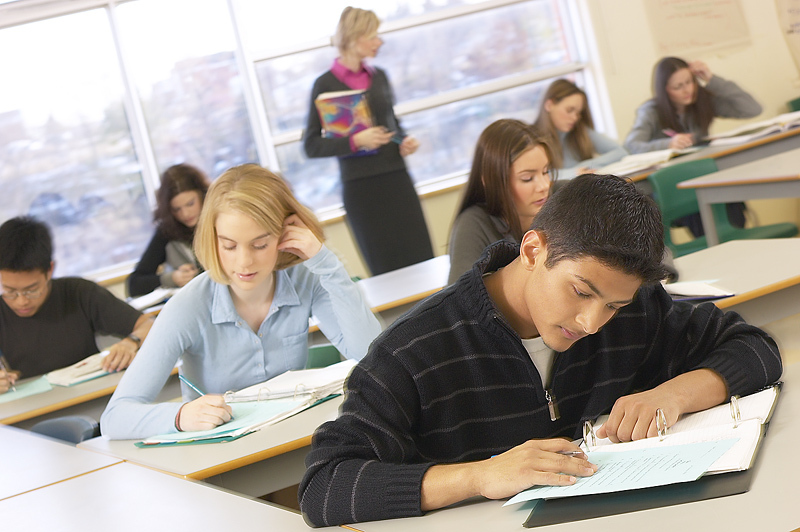 Because the topic of this first post is: standardized testing. And in our current corporate capitalistic systems, standardized testing has become the very foundation of the educational paradigms and education systems and it is therefore affecting the very starting-point and outcome of education in our world. Over the course of these posts, I will investigate and show how the concept of standardized testing in essence is founded upon paranoia and how our educational systems have become not unlike anorexics starving themselves, constantly weighing, comparing and measuring results to achieve a delusional and fictitious outcome while draining itself of all substance and life in the process. I will investigate and show the consequences that standardized testing has on our education systems and on our children and I will show how the solution is a paradigm change resulting in the realm of education no longer being under siege by corporate capitalism – a paradigm change that requires all of us to stand up and say: enough. 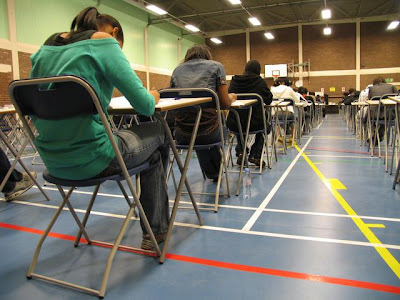 Now – although the point of standardized testing has primarily been discussed and criticized in the US, we will here take our point of departure in the northern European case. The situation is different in the US than it is in Europe though as standardized testing have been using more consequently in North America over many years and in Northern Europe only has been introduced and applied over the last ten to twenty years. In the end, it all comes together in the cacophony of conglomerates we call education because corporate capitalism knows no boundaries or cultural limits. 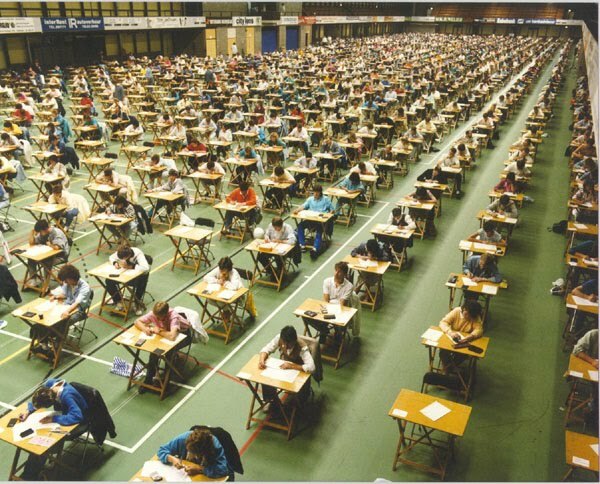 [i] We will in this post particularly investigate the concept of comparative testing as the front-runner for standardized testing in Northern Europe. “IEA became a legal entity in 1967, but its origins date back to 1958 when a group of scholars, educational psychologists, sociologists, and psychometricians met at the UNESCO Institute for Education in Hamburg, Germany, to discuss problems of school and student evaluation. They argued that effective evaluation requires examination of both the inputs to education and its outcomes (such as knowledge, attitudes, and participation). There was thus amongst these scholars a desire to implement a more ‘scientifically measurable’ ways of determining the outcome of educational strategies. This notion stood in stark contrast to the political influence on education that was prominent during the 1960’s and 1970’s. In the 1970’s, the education systems had taken on a more and more liberal approach inspired by amongst others the civil rights movements, the women’s movements and the peace movements rising from the waves of the fifties and sixties. Names such as Rousseau was introduced into discussions about the purpose of education and the perspectives on ‘childhood’ (which Rousseau himself had become famous for ‘inventing’ as a concept) gradually changed from seeing the child as a tabula rasa[iii] (a blank canvas) that required an adult to fill it with knowledge, to seeing the child as coming into the world with abilities that simply required an adult to guide and steer it to develop itself – as inspire by for instance Rousseau. But perhaps because of the recessions several countries experienced in the late 1970’s alongside increasing unemployment and several wars, the liberal and ‘progressive’ education system started being seen as the culprit for societies´ demise and eventually the concept of testing again entered the field of education. Now as mentioned, in the early 1990’s several countries entered into a comparative testing of literacy across several countries (IEA). The results were shocking – none the least a country such as Denmark that previously had boasted itself as having one of the best education systems in the world and now found that children on average had the literacy level equal to children in third world countries. This was the spark that fueled the fire of the paranoia of standardized testing. I will argue that what we are seeing at the moment in Northern Europe and that we have seen over the last ten, twenty, thirty years is a complete overhaul of the education systems in the name of paranoia due to comparative and standardized tests. The subject of competition between students, schools and countries is no longer an abstract but something that is laid out time and time again, by the media as well as by politicians and other ‘experts’ as something we have to do, to survive. We hear it all the time: “competing in the global knowledge economy”, “be competitive on the global market,” and all of this is siphoned back into the education system and used to justify the paranoia that is the cause of standardized testing. Countries such as Denmark had such a ‘scare’ when the first test results came back, that the education system in Denmark never has been the same since. But even the concept of comparative tests in the first place instigates a particular outlook on education – and education systems – as a competition where the winner gets the most wealth through effectively placing itself on the front line of corporate capitalism. The problem is that our children have become the soldiers that are counted as heads, or figures in the game between countries on a global market competing over who has the most knowledge, not unlike digits on the anorexics scale that serve no other purpose than to fuel the anorexics experience of winning over their own body, or in this case: the world. Countries – represented by specific people – are so afraid of not winning in the global corporate race that they are willing to sacrifice the general well-being and common sense otherwise applied in education. Everything that matters in education, everything that was fun and enjoyable about education, is slowly but surely being be stripped down to the bone to make way for the only thing that is prioritized by those we have given the power to manage our educational systems: to make more money. In the next post we will continue to investigate the paranoia of standardized testing as well as look at the consequences, outcome and solutions. [i] You may notice that I am here not even mentioning Latin America, Russia, Asia, Africa or Australia, continents that each has their own histories of education. It is traditionally these parts of the world that are entirely omitted from ‘universal’ educational sociology and philosophy – as the European and later American traditions are (by these regions themselves) considered ‘universal’ or the ‘origin’ of educational philosophy. As such it is not the purpose of these blog posts to circumscribe the topics Eurocentrically, however it is the part of the world where I have my academic roots and it wouldn’t do each topic justice to discuss all the world’s educational systems at once. I therefore plan to at a later stage investigate the various educational systems around the world – yet I will here distinctly focus on the North European and the North American case.